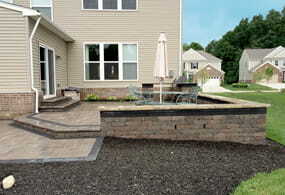 Home - Blackstone Landscaping, Inc.
Design. Transform. Enjoy! 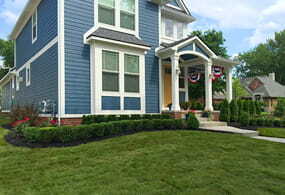 From constructing new landscapes to touching up an existing one, we're keeping your community beautiful! You are true craftsmen and exceeded our expectations! 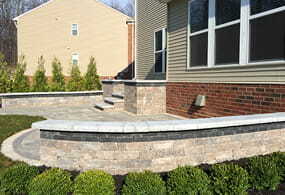 Blackstone will be our first choice for any future projects. * - Paul L.
Outstanding work! On time, on budget, no hassle and looks great. What more could you want? 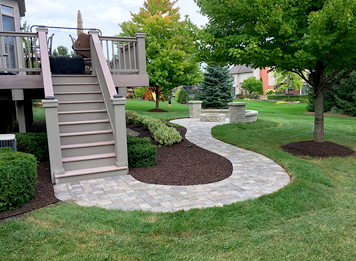 * - Dave C.
Blackstone Landscaping, Inc. was founded in 2004 by Vince Stempien, who has over 25 years of experience in the field. Our hardscape crew has over 70 years of combined experience; each member of our landscape crew alone has over 45 years of experience! We all strive to apply our knowledge as effectively as possible to bring you the best product in the industry. Every outdoor space is different and at Blackstone, our approach mirrors that. We start with a consultation at your home or place of business to determine your needs and formulate a design that accomplishes your goals. Once a crew arrives to commence work, you’ll find the experience to be as minimally invasive as possible while we bring your vision to life. The job site is always organized and cleaned at the end of each day. We pride ourselves on being responsive to your needs and recognize that we are at your home or business, treating it with the utmost respect. Thank you for taking the time to get to know us better! We hope to be working on your project soon. Contact us today to get started with your free on-site design consultation or snow removal estimate.